The Imperial Eagle will join the royal family of P2s. In ancient times the eagle represents power and dominance. Discmania has reinvented McMahon’s signature disc and now you too can have the power by purchasing this disc at store.discmania.net or a Discmania dealer near you! 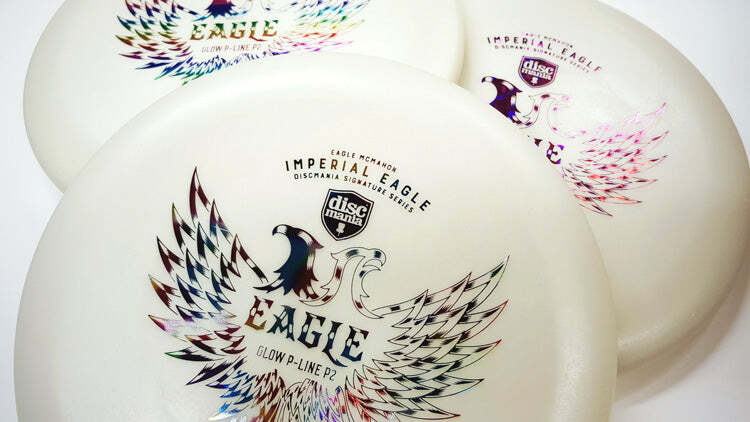 The Imperial Eagle will be released on December 4th. Europeans can already find the Imperial Eagle on the shelves of InnovaStore.net.